Stark reduzierte Preise, alles muss weg! 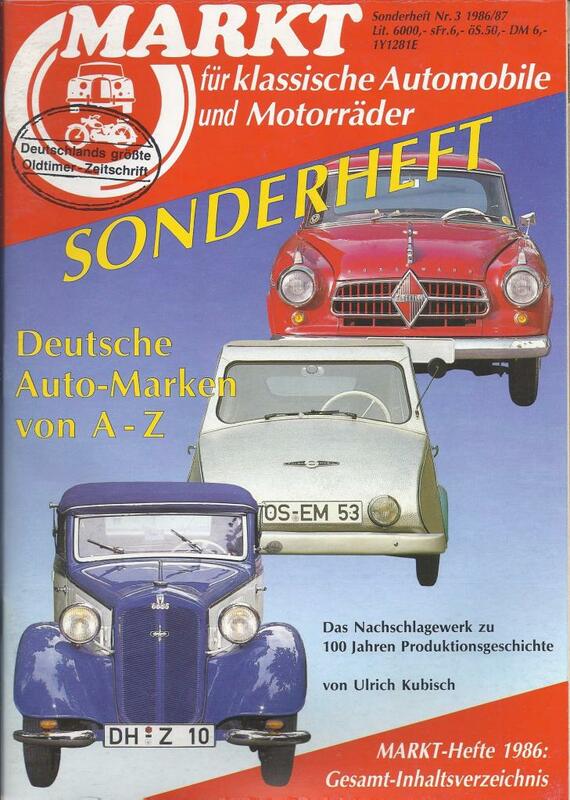 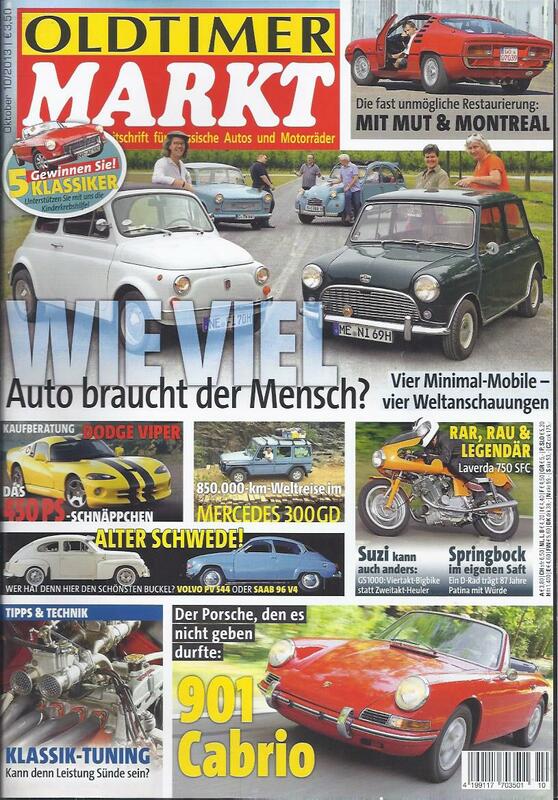 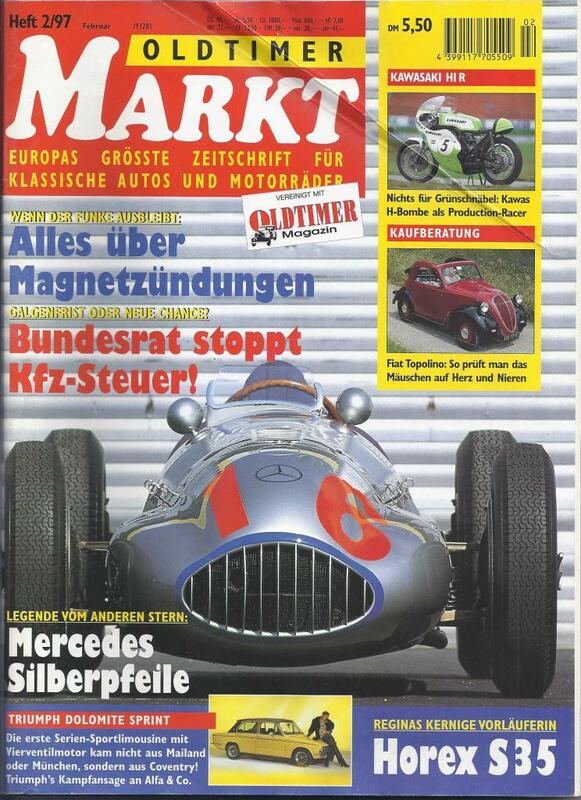 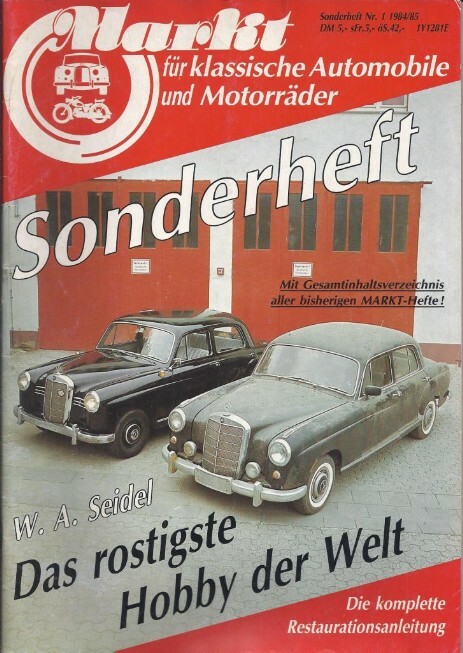 Thema: Mercedes Silberpfeile, Triumph Dolomite Sprint, Fiat Topolino, Horex S35 etc. 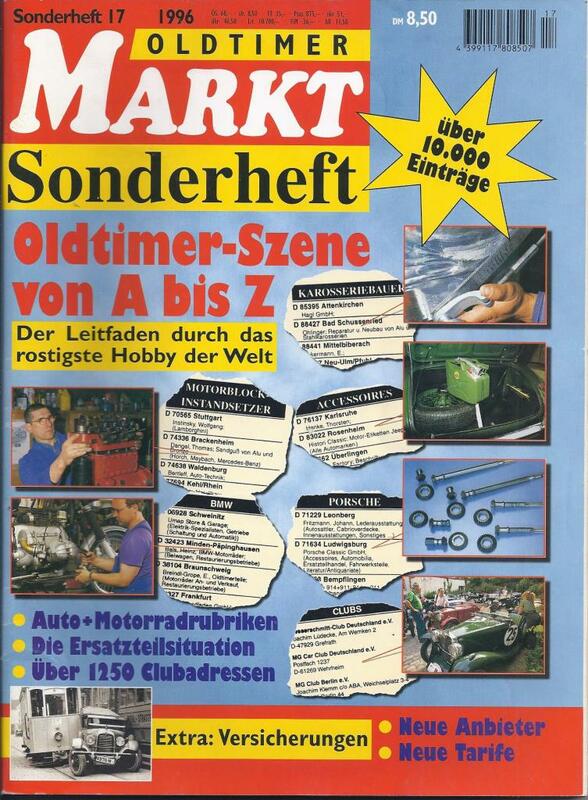 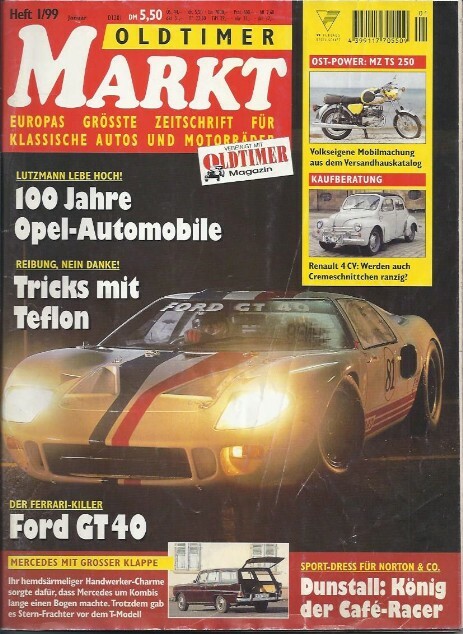 Thema: Ford GT40, Renault 4CV Kaufberatung, MZ TS250, Mercedes T-Modell etc. 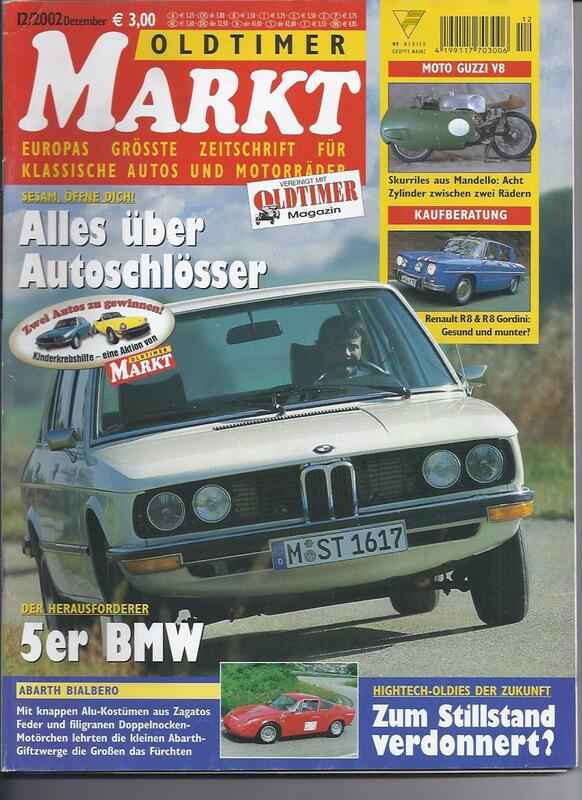 Thema: 5er BMW, Abarth Bialbero, Renault R8 Gordini, Moto Guzzi V8 etc. 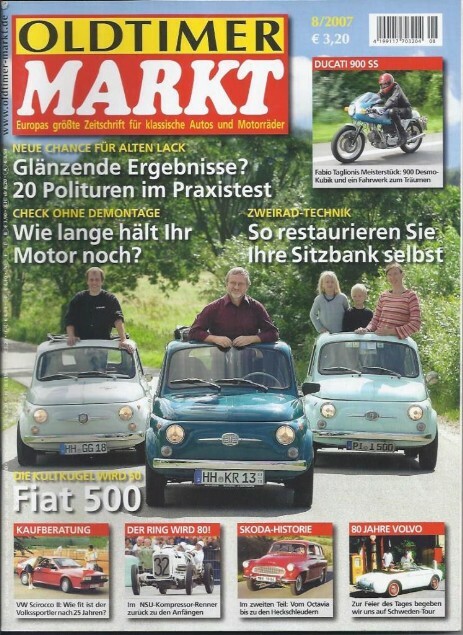 Thema: Abarth 750 GT Zagato, Citroen H, Porsche 911, 60 Jahre Vespa etc. Thema: Fiat 500, VW Scirocco II, Skoda Historie, Ducati 900SS etc. 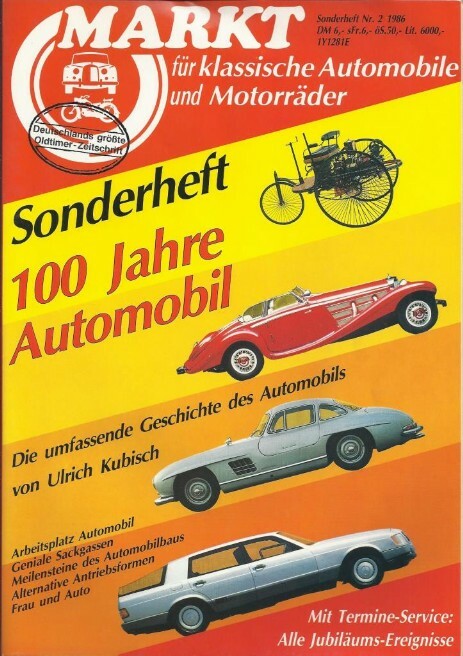 Thema: Porsche 901, Fiat 850, MG Kompressor, Peugeot 401 Eclipse etc. Triumph T 120 Bonneville etc. 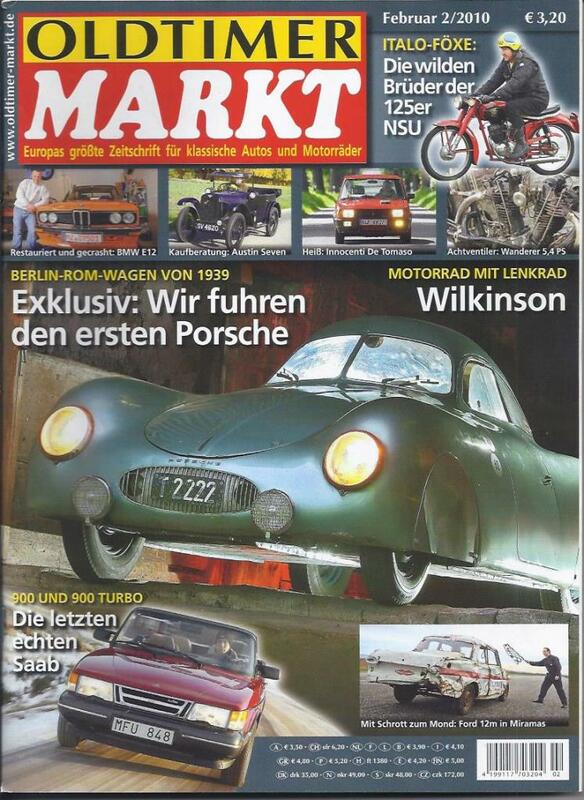 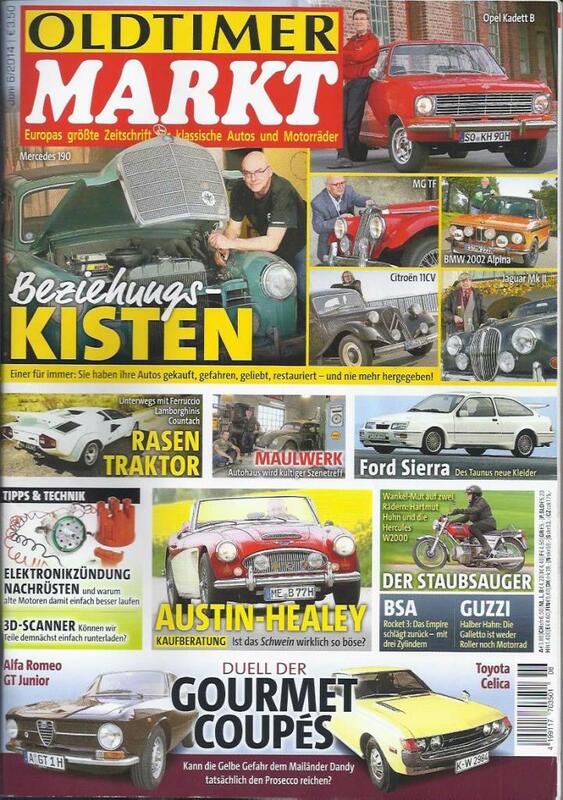 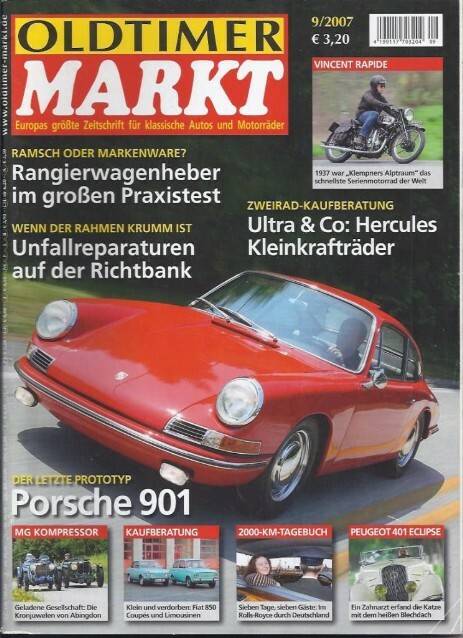 Thema: Der erste Porsche, Saab 900, Innocenti De Tommaso, Austin Seven etc. 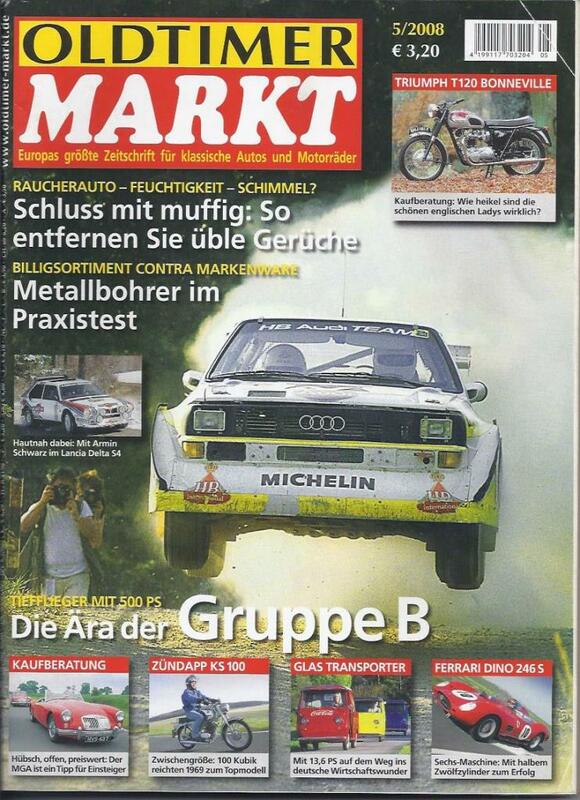 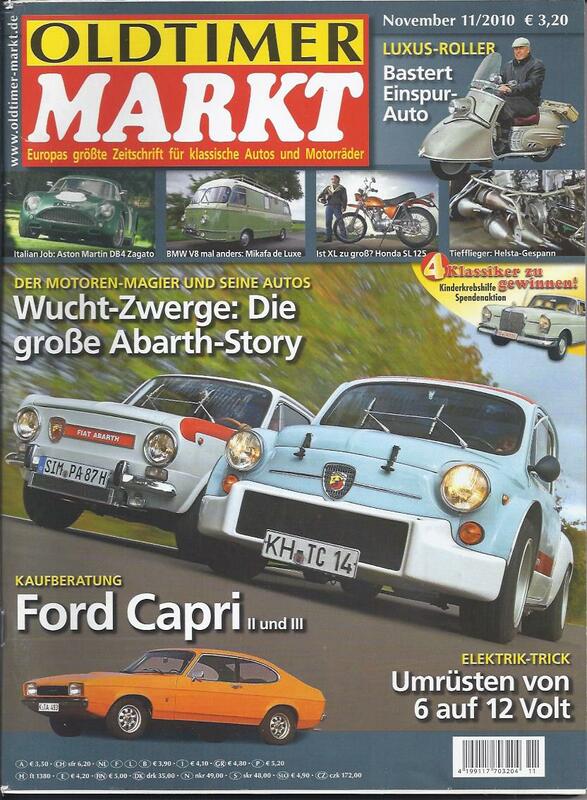 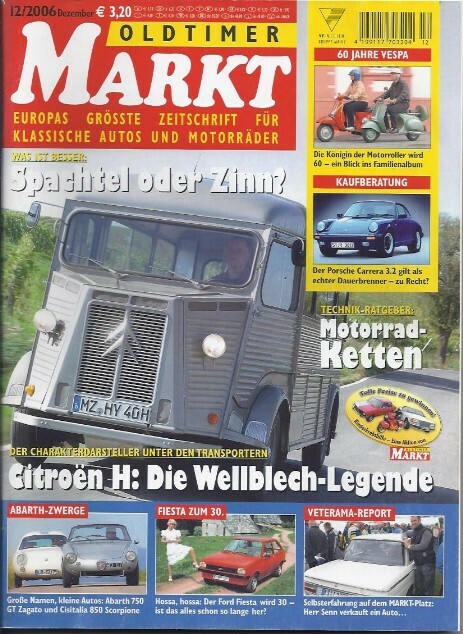 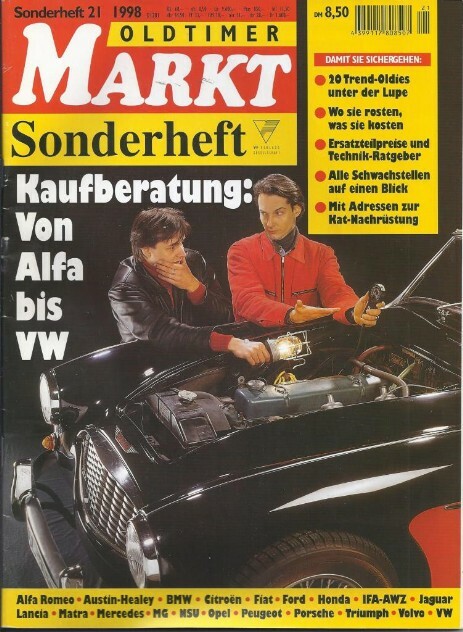 Thema: Die grosse Abarth-Story, Ford Capri II und III, Aston Martin DB4 Zagato etc. 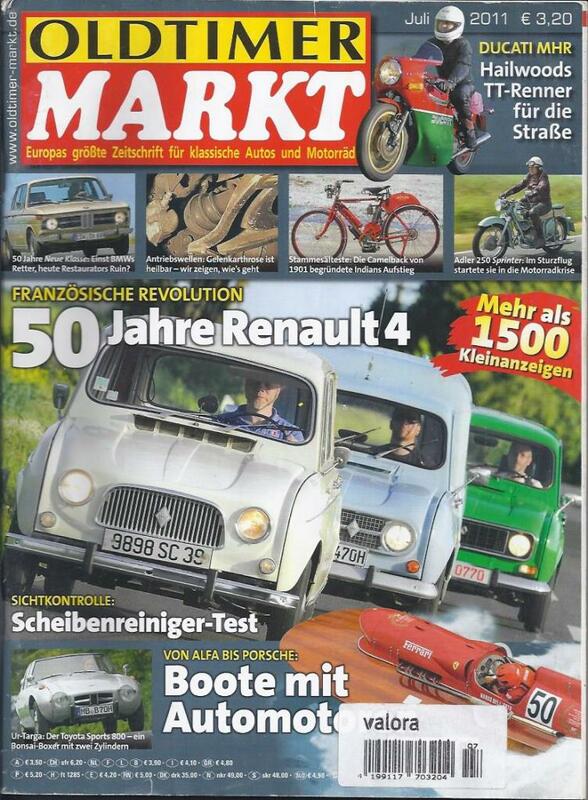 Thema: 50 Jahre Renault R4, Toyota Sports 800, Ducati MHR Hailwoods TT-Renner etc. 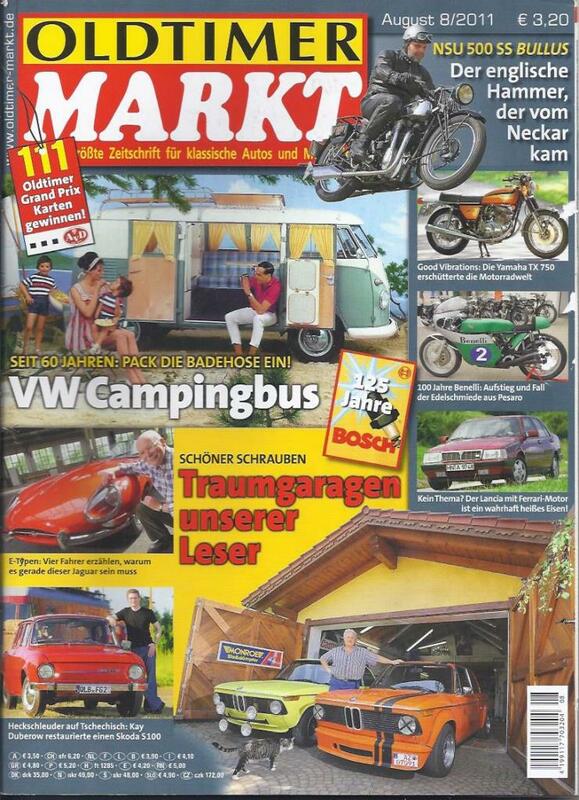 Thema: 60 Jahre VW Campingbus, Lancia Thema 832, 100 Jahre Benelli etc. 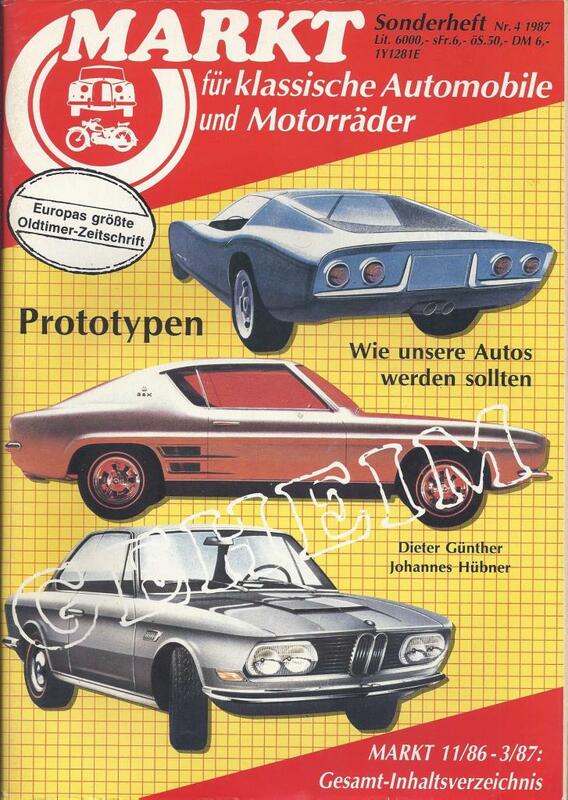 Thema: Dodge Viper, Alfa Romeo Montreal, Volvo PV 544, Saab 96, Laverda 750 SFC etc. 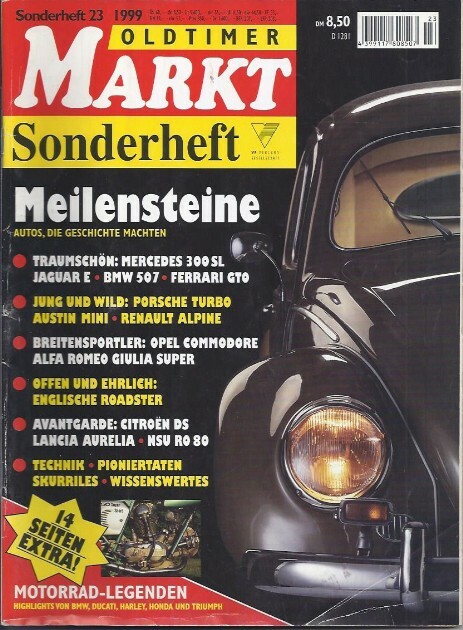 Thema: Lamborghini Countach, Ford Sierra, Alfa Romeo GT Junior, Toyota Celica etc.